Originally known as the Dallas Open, the very first AT&T Byron Nelson was won by the man who the event is now named after, in 1944. As a measure of how big a tournament this once was, Sam Snead and Ben Hogan won the next two editions and the likes of Jack Nicklaus, Tom Watson, Fred Couples and Payne Stewart all took the title before the 1970s and 80s. A three year spell in the mid-90s saw Ernie Els, Phil Mickelson and Tiger Woods victorious and since the turn of the century, major winners Vijay Singh, Adam Scott, Jason Day, Jason Dufner and Sergio Garcia have all also won here but the tournament is as popular as it once was. Part of the reason for the tournament's downturn in fortunes was the unpopular venue - TPC Four Seasons - so now that the event has switched to Trinity Forest, it's a bit disappointing to see so few of the world's best in attendance but its position in the schedule, immediately after the Players Championship, doesn't help. Trinity Forest is a US links-style course designed by Bill Coore and Ben Crenshaw. Despite the name, and the setting (inside Trinity Forest) there are no trees on the 2016 design and there's no water in play either. Trinity Forest has wide Zoysia grass fairways (a new strain soon to be named Trinity Zoysia) and no rough and the undulating greens are laid to Champion bermudagrass. The fairways have been kept damp in the lead-up to the event and the greens won't run any faster than 11 on the stimpmeter. Several players are members at this unique new track - including the very well backed Beau Hossler and the warm favourite, Jordan Spieth. This is what Jordan has had to say about the venue: "It's like an American links. You've kind of got to play it from the air, not really a bounce the ball up kind of links, but it is still a links-looking golf course. So it's weird, it's unique. "Birkdale was kind of the closest comparison I've found to a links course that you kind of have to attack from the air. You get maybe four or five, six holes where you can bounce the ball up, but the way to get balls close is to come in with a higher shot. That's not necessarily true links. "It's not very difficult off the tee. It's about where you position the tee ball - which half of the fairway - to be able to hold the greens on approach shots. It's a second shot course, where you've got to really think about where you're leaving the ball, because everything looks very spacious. There are no trees, you can work different (ball) flights, but it's very challenging if you're not really focused." Geoff Ogilvy has backed up Jordan's view, and he's quoted as saying: "Trinity Forest will make us use our brains a little bit... you have to work out where your best angles are... One side of the fairway is easy, the other side is going to be difficult. Your mistakes are magnified, but your good stuff is magnified as well. Sometimes here at Trinity, the pin isn't necessarily the target. It will be severe with the wrong shot, but very friendly with the right shot. You'll have fun all day if you hit the right shot." And just to confirm that this really does sound like a second-shot course, here's a tweet this week form the 2015 champ, Stephen Bowditch. Love Trinity Forrest. Suits ever type of player. Fairways are rolling out good amount considering zyosia.. Greens somewhat receptive.. putting around green is near impossible as they have let greenside grass grow more than usual. Better bring short game and precision iron game. For much more on what looks like a truly fabulous venue, please see this excellent piece here. Live Featured Group coverage from 17:00 UK time and full coverage from 21:00 on Sky Sports on Thursday. As always, the tournament is live on Sky Sports all four days. What Will it Take to Win the AT&T Byron Nelson? As alluded to above, this appears to be a second shot course. Driving the ball in to the right sections of the fairways will be key but accurate execution in to the greens is likely to be the key factor this week so Strokes Gained Approach-The-Green is probably my idea of the most important stat. It's going to be hot all week and the wind will pick up on Friday (especially in the afternoon) and on Saturday, so an ability to handle windy conditions is essential. This is a new test to the majority in the field and it's a quirky one that may lead to frustration. Patience is going to be of paramount importance too. Coore and Crenshaw also designed the Plantation Course in Hawaii which hosts the Tournament of Champions each January and they were also responsible for the preparing Pinehurst No 2 for the 2014 US Open, so form at those two venues is worth considering and so to might be more recent US Open form. Chambers Bay, the venue in 2015 was a new links-style venue that split opinion, the 2016 venue, Oakmont, produced a leaderboard jam-packed with links golf specialist and last year's course, Erin Hills, was another linksy feeling venue where driving accuracy was virtually unimportant. I'm a little wary of getting too involved before the draw's made. The weather forecast suggests we may get quite a blustery afternoon on Friday and if that materialises, or even plays out worse than currently predicted, an afternoon/morning draw might be beneficial so that's definitely something to bear in mind. It's usually important to be up with the pace in tournaments staged at links courses. Conditions tend to get harder as the course dries out and with the wind forecast to blow on Saturday, I suspect concentrating on the leaders from early on will be the way to go. At around the 5/1 mark, Jordan Spieth is short at first glance considering he hasn't won anywhere since last July but I certainly wouldn't want to lay him. He's a winner of the US Open at Chambers Bay and he's a winner at the Plantation Course. He finished inside the top-20 at Pinehurst way back in 2014 and that last win in July, was at the Open Championship so we know links golf holds no fear. As a member, he'll know the course better than the vast majority in the line up and he has the right skillset to prosper. He also has a very solid record in his home state of Texas. He's short at around 5/1, but rightfully so. He may have run Spieth close at Royal Birkdale in July, but it's now more than four years since Matt Kuchar last won and he looks very short given his propensity for falling short when it matters. This should be right up two-time tournament winner, Sergio Garcia's alley, but he hasn't been himself of late and he was disappointing after a decent start at Sawgrass last week. And that's a venue we know he loves. Hideki Matsuyama has played well at the courses likely to correlate but he's another that looks out of sorts and I was happy to leave him alone too. Although he's no monster price, I was very tempted to back Spieth, and if the draw works in his favour, I may yet do so but for now I'm going to war with just three - Branden Grace, Brandt Snedeker and Scott Piercy. Following the birth of his first child, Roger, Grace took a month out, so his tied 41t at Sawgrass on Sunday was no disgrace. He hasn't been in spectacular form this year but he hasn't been awful and this test looks perfect for him. Grace is a winner at Fancourt Links in his native South Africa, he's won the Alfred Dunhill Links on the European Tour, as well as the Qatar Masters (where links exponents shine). He perhaps should have triumphed in the US Open at Chambers Bay and his sole PGA Tour success to date came at the Hilton Head Links at Harbour Town two years ago. And finally, just to confirm beyond any shadow of doubt that links golf is most certainly Grace's bag - he became the first player in history to shoot 62 at a major in round three at Royal Birkdale last year. Although he finished down the field last week, he ranked 10th for Greens In Regulation so his iron game was good and one final plus, if indeed it is a plus, he turns 30 on Sunday. Victory on a links style track would be very apt for one of the world's finest links exponents. I see Dave Tindall fancies Branden this week too and I picked him out back at the end of last year as someone to chance in the US Open so a good week here would be most welcome. Brandt Snedeker won't give a hoot how hard the wind blows and just like Spieth, he has form at all the right places. He's not been at his very best in a while and he hasn't recorded at top-ten since last year's US Open but he's a cracking links player that I thought the market had overlooked slightly at [65.0]. The last of my three, and the one I thought represented the best value in the field this week, is Scott Piercy. Fresh off his success alongside last year's AT&T Byron Nelson winner, Billy Horschel, he missed the cut at Sawgrass, thanks to a 77 in round one which probably came too soon after the celebrations, but he can bounce back here. 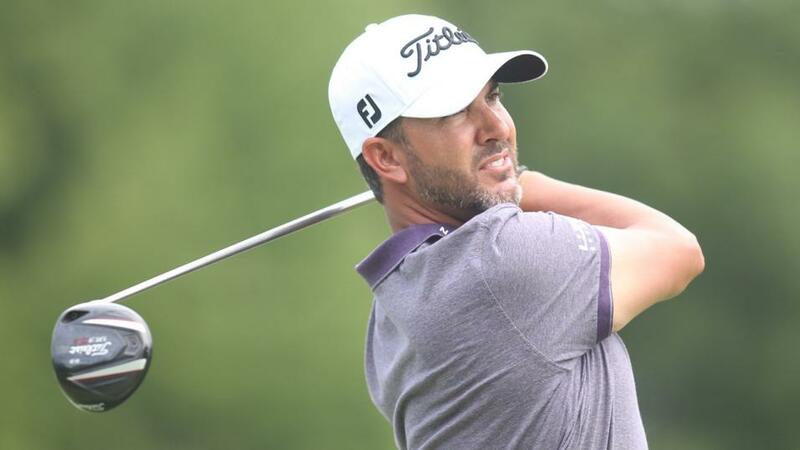 Piercy currently ranks first for Strokes Gained Approach-The-Green and he was second to Dustin Johnson at the US Open in 2016.